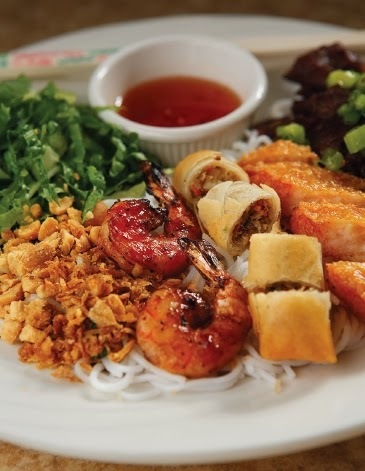 It’s hard to imagine finding a Vietnamese eatery any more authentic than Morrisville's Taste on this side of the world. Need evidence? Consider Exhibit A: pho, a broth-based rice-noodle soup that’s traditionally considered the common people’s food in Vietnam. 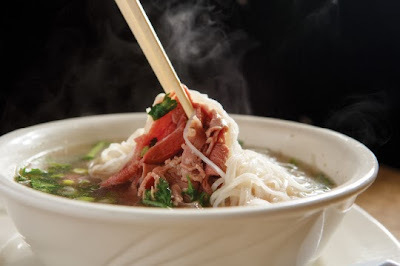 Large bowls are served with a side of bean sprouts, basil and cilantro, and a lime wedge. To kick it up a notch, add some hoisin hot sauce. Further legitimacy comes in the form of goi cuon, or fresh shrimp spring rolls, filled with steamed shrimp, pork, vermicelli, mint, lettuce and bean sprouts enveloped in thin rice paper. Be sure to dip the rolls in the house-made peanut sauce served on the side. Barbecued beef short ribs are as tender as you’ll find anywhere. Equally juicy grilled pork erupts with tanginess. While the restaurant’s simple, airy dining room decor is still evolving, service is already rock-solid and enthusiastic. Daily specials are available. Taste is open for lunch daily, while dinner is served Wednesday through Monday. Typically it doesn't contain a fastener. A good case container stands out as the current technique for lugging your whole own personal preferences. louis vuitton replica Quite a few varieties & behaviours help a good case greatest device meant for jobs gear. louis vuitton replica Regardless of the types of case you'd like, many models together with variations can easily be bought. fake dior By just lugging some kind of alluring or simply taught case container for your shoulder joint you can give you towards your outfits the fact that unique looks. Attempting to get power together with overall performance? gucci replica Than simply consider a good case utilizing supplemental prominent edge compartments and therefore shopper pattern. replica louis vuitton Watch out for indoors essentials for example break compartments together with zips. This would grant compartmentalizing for many products & cosmetic foundation through which Identity homemade cards together with rebate homemade cards. nike free 5.0 running shoes sale I can nike free 5.0 running shoes sale leave it. sale, you are walking. Zhaosuo will be cheap to send out, then a young policeman nike free 5.0 running shoes sale came over. cheap nike free 5.0 womens Director, he was a kid actor son, you are afraid of him to do. Young police puzzled and asked, in his heart, like cheap met such children should be scared to death the nike free 5.0 running shoes sale police, where it nike free 5.0 running shoes sale would be so arrogant.